It was a busy Saturday on Eureka's Waterfront. 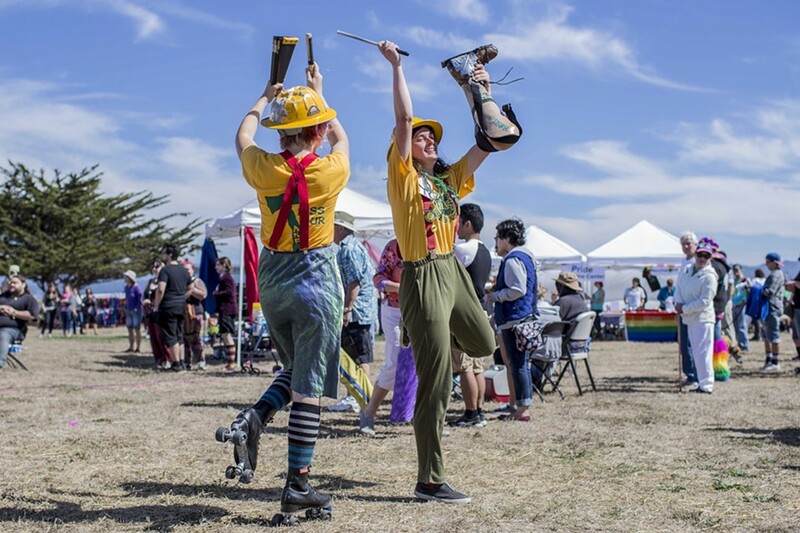 The Pride festival razzled, while Paddlefest dazzled. 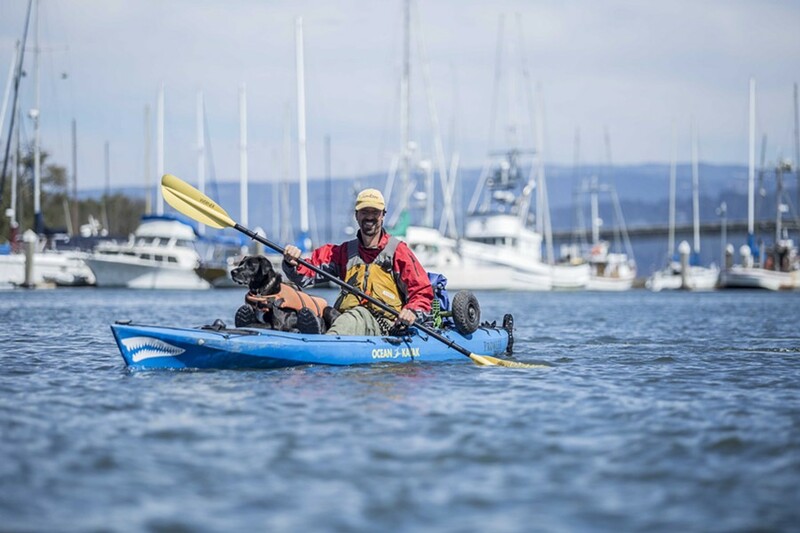 Journal contributor Alexander Woodard was there to catch all the action. 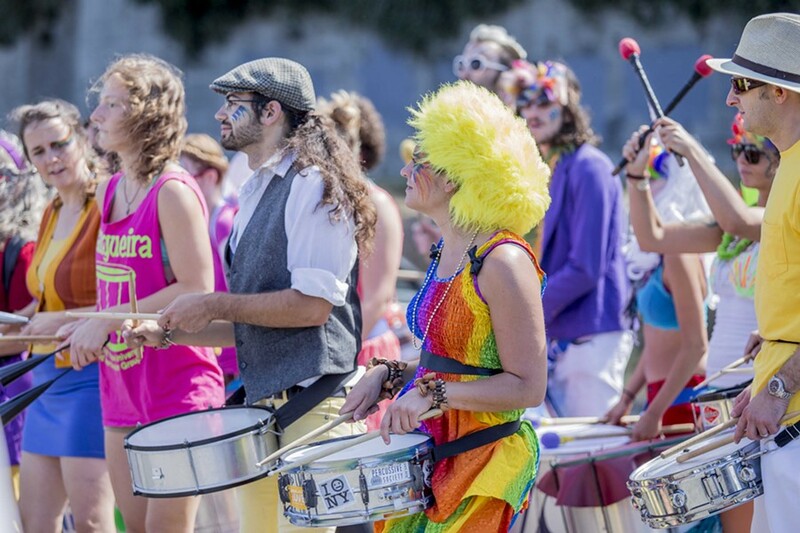 Drummers entertain the crowds outside the Humboldt Pride Revolution Parade and Festival in Eureka, Sat. Sept. 13. It was a busy Saturday on Eureka's Waterfront. 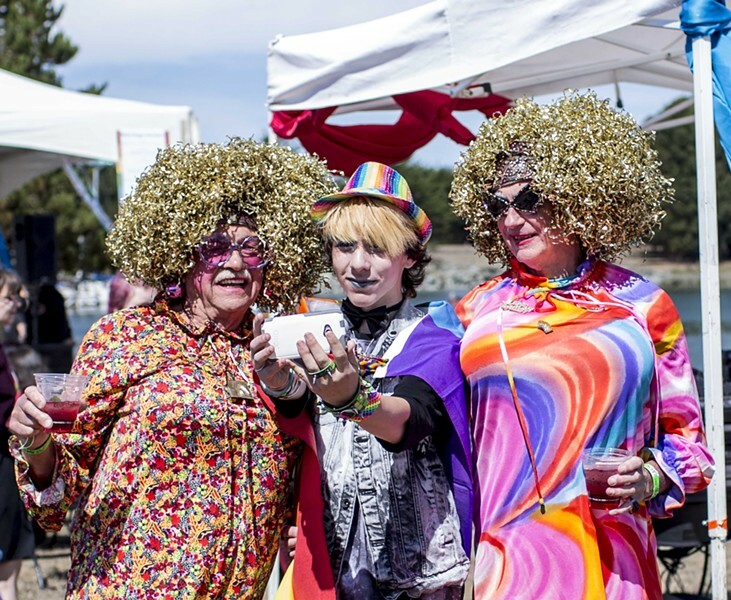 The Pride festival razzled, while Paddlefest dazzled. 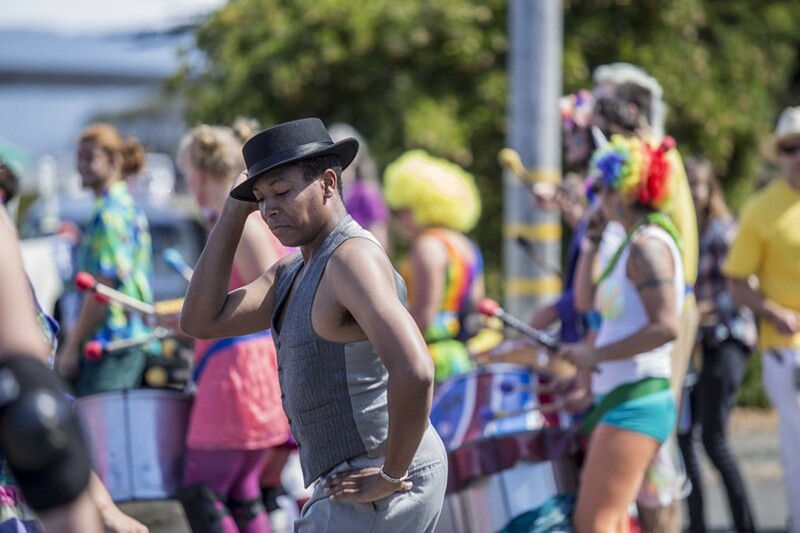 Pride festival attendees dance to a drum squad at the Humboldt Pride Revolution Parade and Festival in Eureka, Sat. Sept. 13. The HSU Marching Lumberjacks performing at the Humboldt Pride Revolution Parade and Festival in Eureka, Sat. Sept. 13. 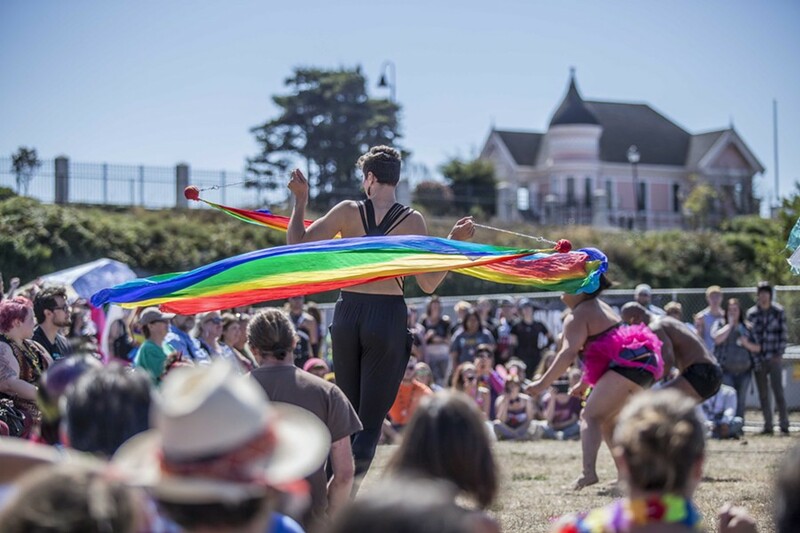 The Caravan of Glam performs for a crowd at the Humboldt Pride Revolution Parade and Festival in Eureka, Sat. Sept. 13. 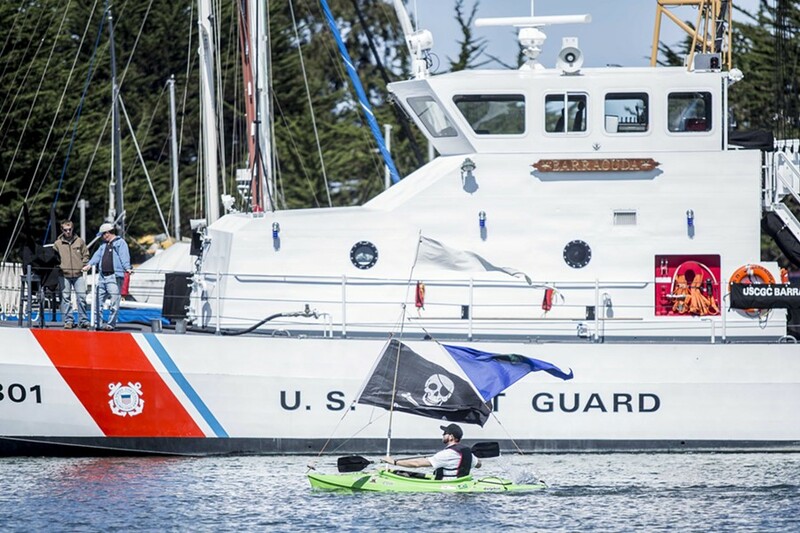 HSU Center Activities sponsored Paddlefest and provided paddleboards, kayaks, canoes and other watercraft for the public to enjoy in Humboldt Bay in Eureka, Sat. Sept. 13. 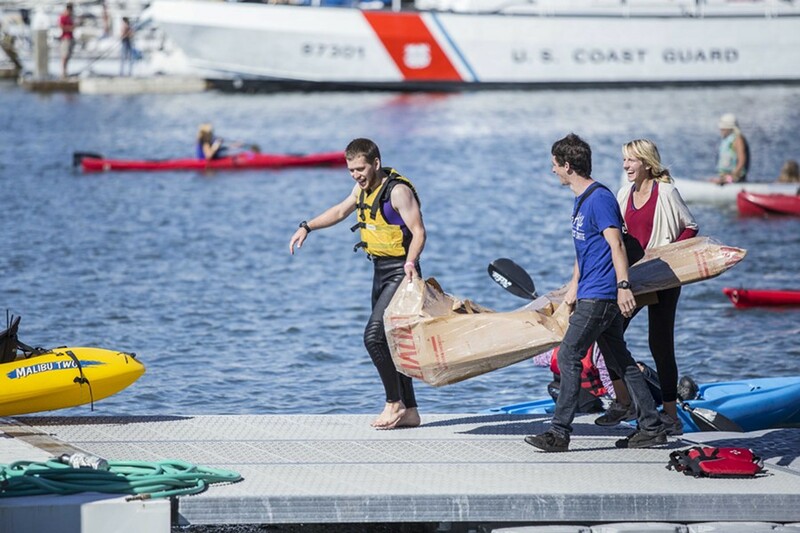 Contestants pull their cardboard boat from the water after racing in the bay at Paddlefest in Eureka Sat. Sept. 13.